Whether your car, light truck, van or SUV needs transmission repair or transmission replacement you have come to the right place. The mechanics at Eli & Gary's Automotive Services are ready to assist you with all your vehicles transmission needs.. Extend the life of your vehicle with proper transmission maintenance, repair or replacement from the experts at Eli & Gary's Automotive Services in Malden, MA. Get all your transmission repairs done at Eli & Gary's. 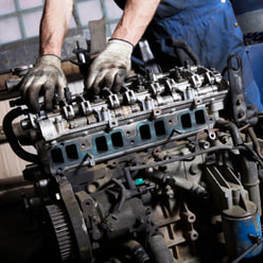 We specialize in transmission repair and rebuilding for all foreign and domestic makes and models. The best maintenance for your transmission and to extend the life of your transmission is to maintain your transmission fluid and have your transmission inspected regularly.